My first trip to Bonaire was in 1973! Forty five trips and 44 years later, I’m still going back! One of the Caribbean’s best dive destinations, Bonaire has something for everyone. Great beaches, great restaurants, great water sports and of course, world class diving! 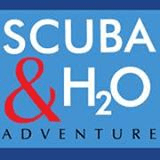 Our package will include: deluxe time share** suites ( Standard room for singles), five days of diving, two boat dives daily (11 boat dives), unlimited shore diving, full breakfast daily, use of tanks weight belt and weights,airport transportation in Bonaire and hotel taxes and hotel gratuities. NOT inlcuded in the package price is airfare,* lunch, dinner, park fee (paid on island) and tip for the dive crew. Our hotel is the Divi Flamingo Hotel, just a few minutes walk to all the fine restaurants and activities in town. Our hotel also boasts the only bare foot casino in the world and diving right off the hotel is as good as most dive sites! The hotel is conveniently located just a few minutes boat ride to the famous dive sites of Klien Bonaire! The full week’s package is $1399.00 (double occupancy diver in Time Share units). 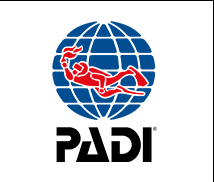 Non diver, double occupancy $1139.00. Single occupancy diver in a Standard room price $1798.00. * Below I have listed the best flights to Bonaire. At this writing the posted price is $698.00. Prices always subject to change without notice! All payments to me for the land portion of the trip must be paid by cash or check as I have to pay my agents with a company check. There are no refunds. A non refundable deposit of $500.00 is required to hold your spot and once deposited, you are responsible for the balance of your land package price unless I can find a replacement for you. It is highly suggested you consider trip cancellation insurance offered by www.diversalertnetwork.org or other trip insurance companies if you think you might have to cancel your trip. **Note: these are time share units, not standard hotel rooms. Each unit (except standard single) comes with a complete kitchen (fridge, stove, dishes, utensils, balcony, etc!). If you have any questions or would like to sign up, please call or e mail me at orbitdive@aol.com. We will need a non refundable deposit of $500.00 to hold your spot, with final payment due December 1, 2017. Check or cash only for payments to Orbit Marine, 3273 Fairfield Ave., Bridgeport, CT. 06605. Note, we can have our agent book your flights with your credit card for flight payments only. Note flights below. Prices always subject to change without notice! Trip insurance is always advised in case you have to cancel for any reason. 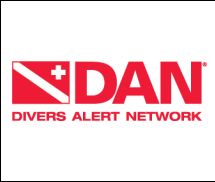 DAN offers excellent coverage www.diversalertnetwork.org for more info. Book direct with Delta or use my land booking agent Dawn Snow at www.dawn@carradona.com. Mention Orbit Marine Group.